MELBOURNE (Reuters) - Nick Kyrgios has sacrificed his love of basketball for more time in the gym to get fit for the Australian Open but sees no immediate need for the extra discipline of a full-time coach. The 22-year-old Australian worked with Frenchman Sebastian Grosjean on a part-time basis this year but has yet to find a candidate with his "best interests" at heart, he told reporters in Brisbane on Wednesday. "I haven't got a coach and I think I'm just going to go about my thing the same way that I did this year," he said. "I've pretty much done it all alone the last three years to get to a career high of 13. "To bring someone on, it's tough to know whether they're just doing it for the sake of getting a bit of cash or rather have best interests at heart. "I'm not looking for someone who has a big name or anything, it's more trying to find someone who has my best interests and I can confide in. "So far I haven't really met anyone that meets those requirements. I don't think I'm ready for a full-time coach just yet either." The mercurial talent's world ranking has slipped to 21 after a season blighted by problems with his hip but said he was doing everything in his power to be in prime shape for Melbourne Park in January. That has extended to less time playing his beloved basketball, which he blamed for causing a knee injury in the leadup to the 2017 tournament where he crashed out in the second round. "I was playing a lot (of basketball) through the off-season but I know it's not great on my body," said Kyrgios. "Especially training for tennis and playing that, it's not the smartest. But you know, I'll live." 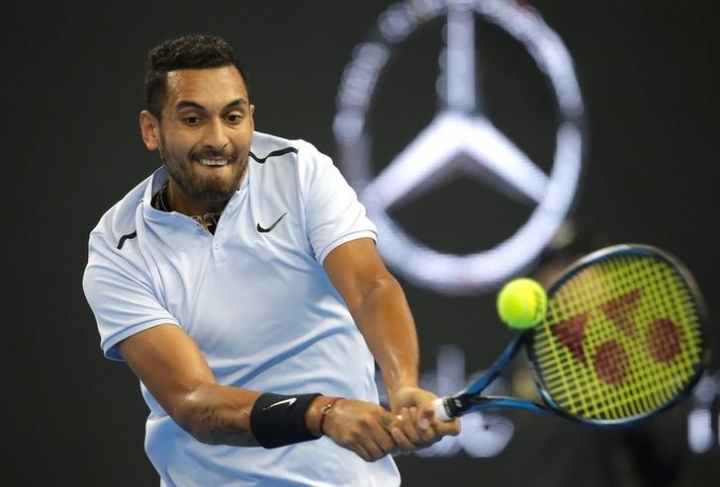 Kyrgios will warm up for the year's first grand slam at the Brisbane International before heading to Melbourne to play in Tie Break Tens with Novak Djokovic, an exhibition of 10-point tiebreak matches. "I feel like I've taken care of my body a bit more than last year," said Kyrgios. "Last year I wasn't doing anything, I was kind of playing too much basketball. "I had so many niggles going into the Australian Open. I feel like I've done everything I can. I've still got a lot of time to kind of find my feet."